A quality start list is anticipated plus high altitude, but not much climbing until the final few km of the final two stages. 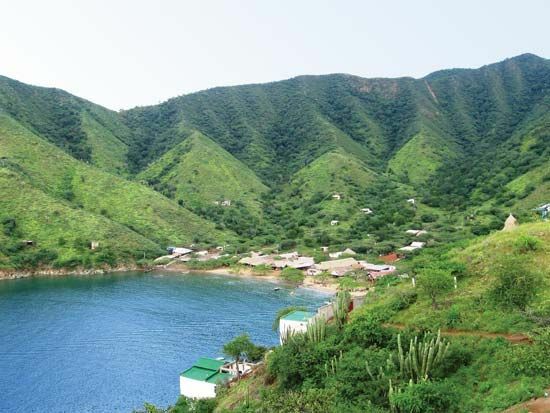 no real climbing until the final 15km of the final stage. Are you sure you've got the right country here? I can't find the tweet or article now, but Uran was talking about how they can't make it too hard or the big stars just won't come. 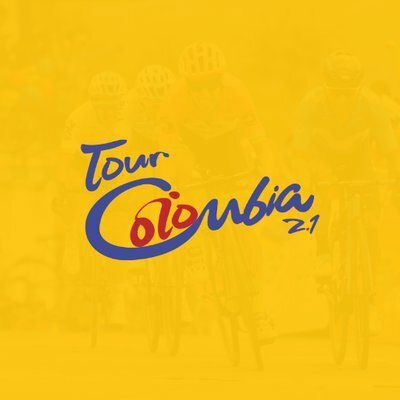 It's an early season race à la San Luis, San Juan or TDU. 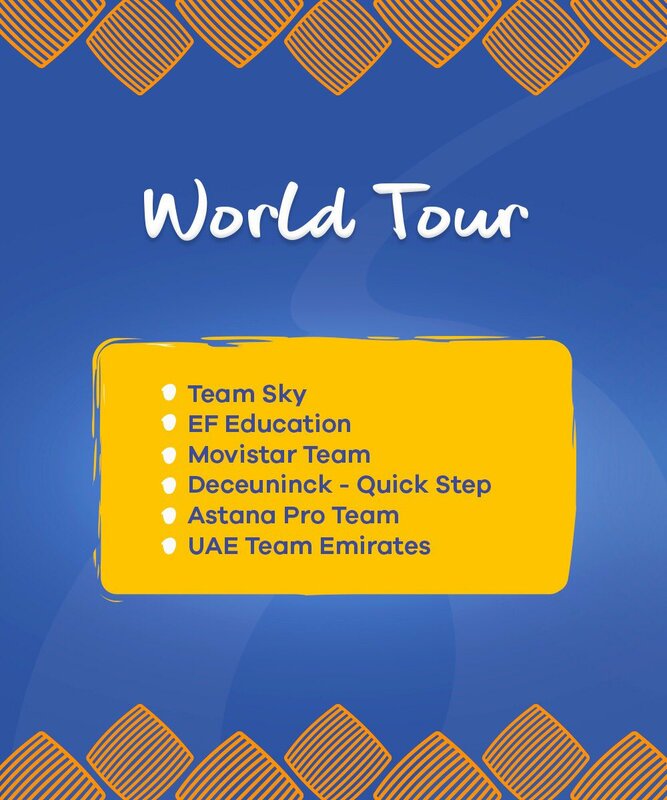 So the riders get to stay in the same hotel for the duration of the race and the stages are "easy" enough so that it can almost be used as an extension of a training camp and only have to give it a go on the last day. Chaves, Atapuma and Pantano had prior engagements. 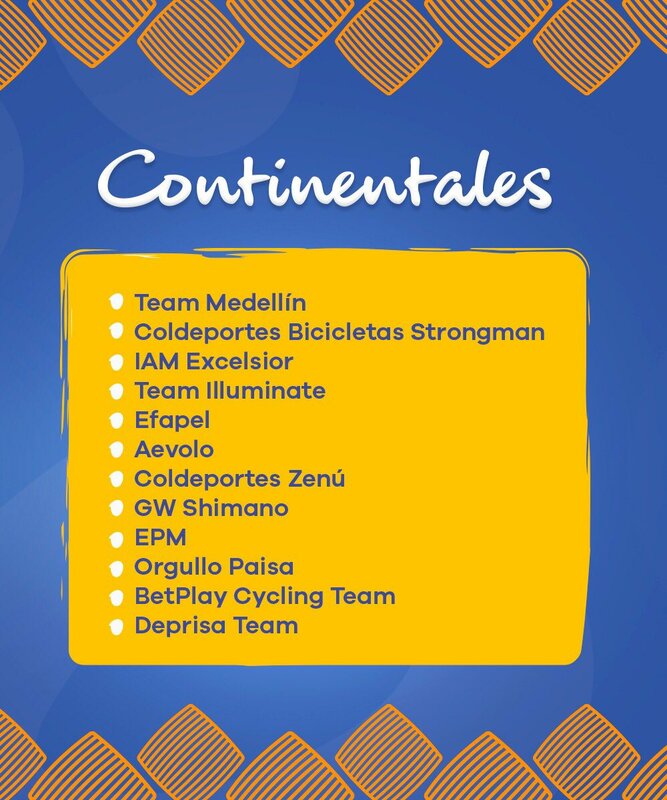 Aevolo, Orgullo Paisa, BetPlay, and Deprisa still have to get on the UCI's list. 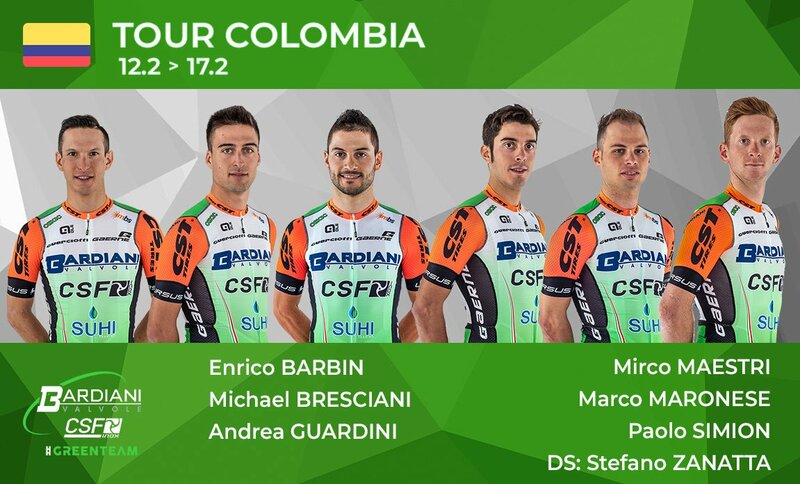 They could have invited one more team and still stay within the 176-rider limit (at six riders per team)! 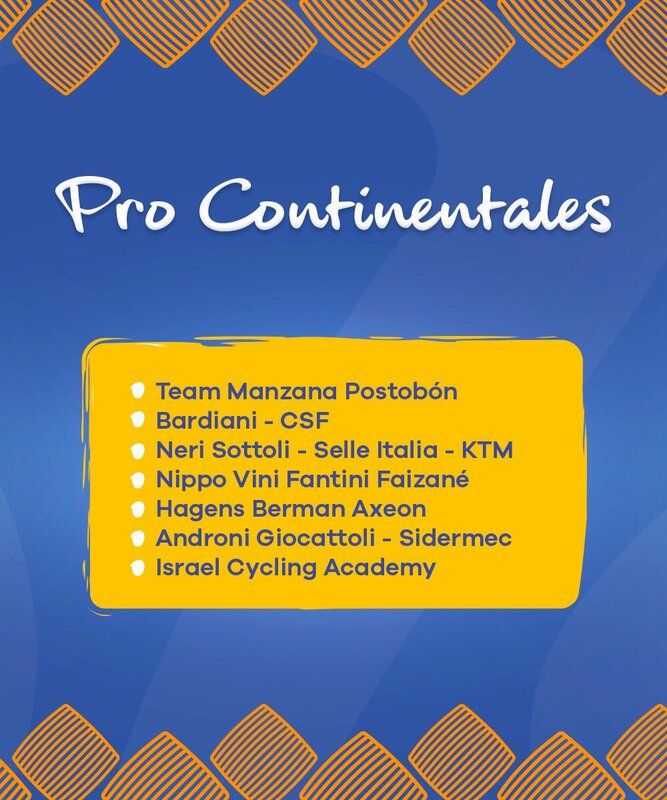 Could there be a conflict of interest especially with the two Manzana Postobón teams? 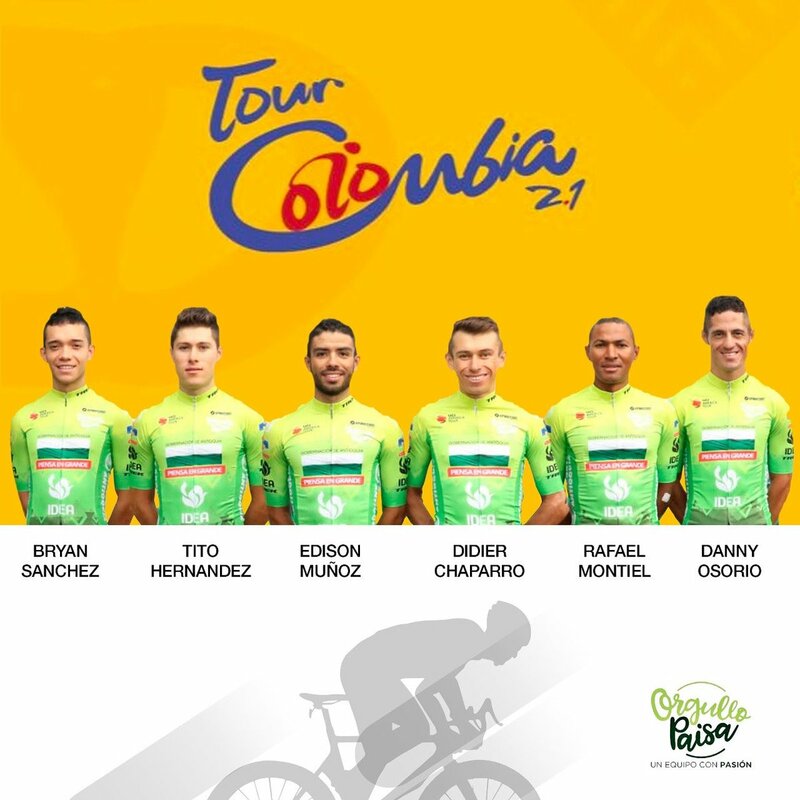 "Selección Colombia Manzana Postobón" is a national team with riders from amateur teams or (European) Contis not invited to the race. I don't think they will be conspiring with . 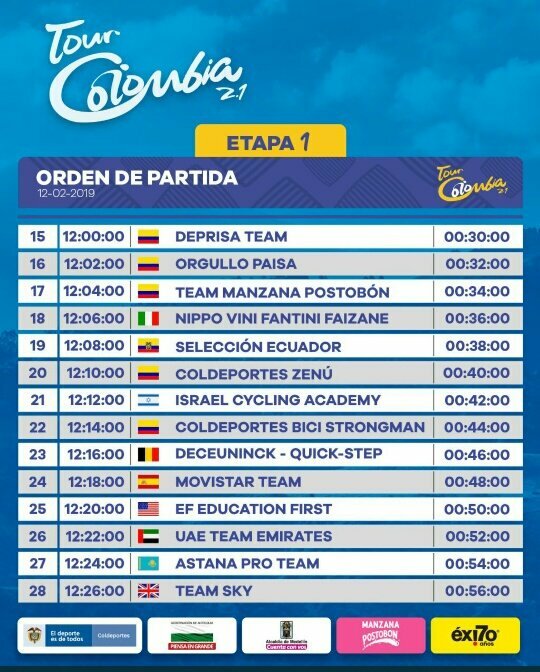 The two Coldeportes-sponsored Colombian Conti teams are rivals, or at least were rivals until this year. Don't think they will suddenly start riding as one team. I guess it's again a case of sometimes the rules are applied sometimes not. Uran is suffering from "discomfort in one of his ankles" and will now ride in support of Martinez at the race. Quintana and Anacona will be the leaders. Guardini picked up a couple of top-tens last year. After San Juan, could he become a double Winner? A baptism of fire for some of these guys. Pacioni did well at San Juan with a couple of top-5 finishes. It wouldn't surprise me if he can repeat that with the less stacked sprint field here. Last year Sevilla found Colombia a tougher nut to crack than San Juan. Probably the same this time round. 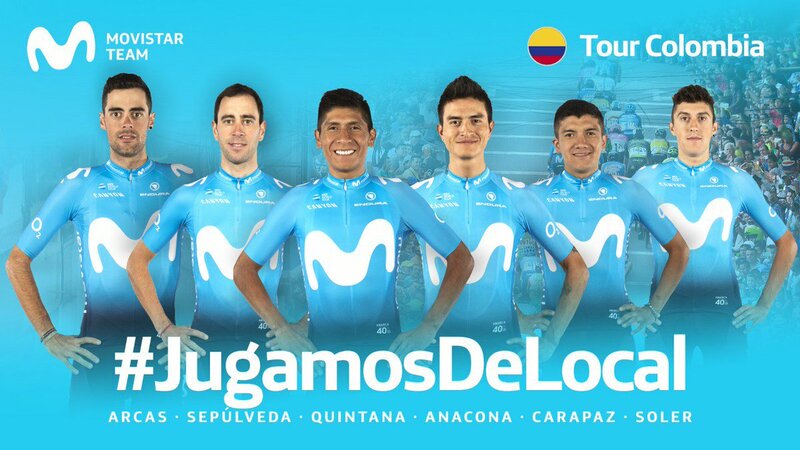 A target this year for the team might be the KoM. In 2018 there were very few points available to the break, but this year it's a bit different. Beltran or Tejeda could go for that. I told you there was lots. None of the best youngsters are here as they're over in Cameroon. The only team there to put up a fight to the all conquering Eritreans. Of course, if this turns out someday to be the industry standard integrated handlebar-computer-braking solution then I'll eat my kevlar-reinforced aerodynamic hat. 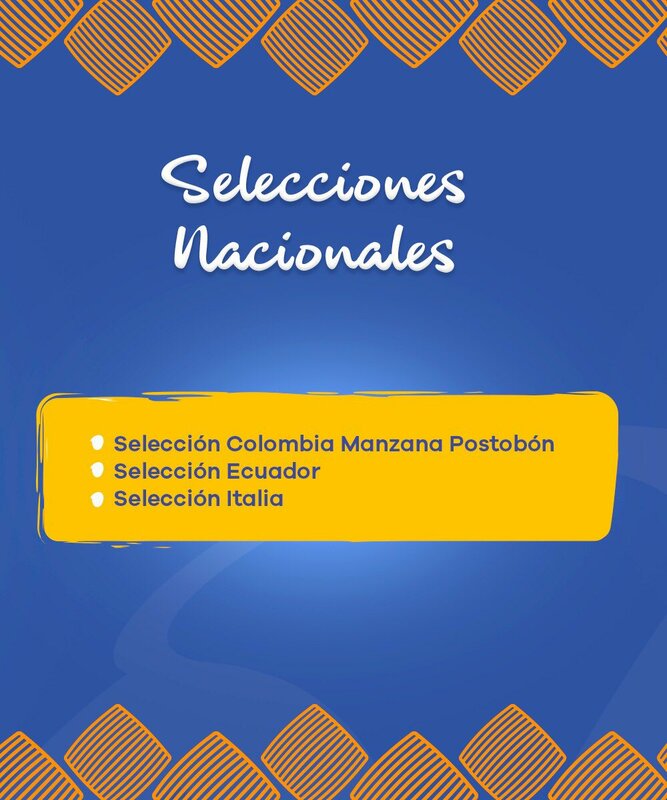 ESPN Colombia is the host broadcaster this year and will be probably be geo-blocked. They'll broadcast the last two hours of each stage. 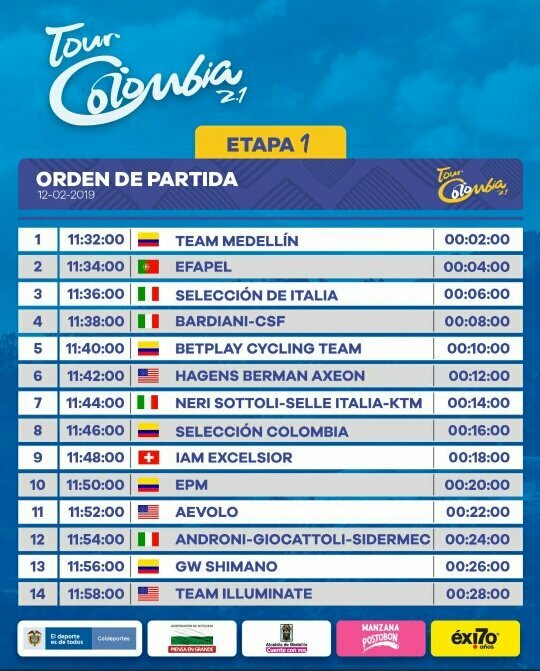 So, no Señal Colombia this year, which probably means that nobody can watch outside of Colombia. Once again, globalizing sports hits the brick wall that is the ever expanding world of ppv. "Science is a tool for cheaters". An anonymous French PE teacher. With the jumbo number of teams here, you probably need to visit the site to see all the teams. Add 5 hours for the UK and 6 for continental Europe. 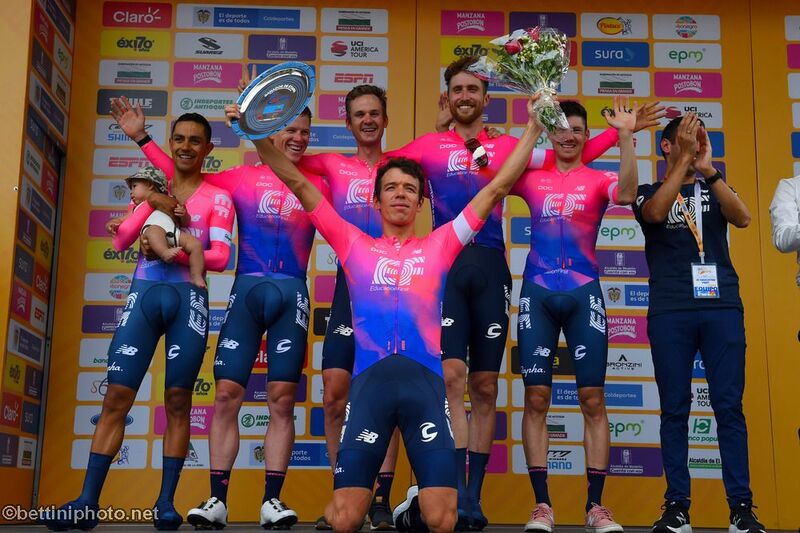 I can't see past Bernal for this, maybe Alaphilippe, given the TTT. That's about all you need to see ...... or could see. 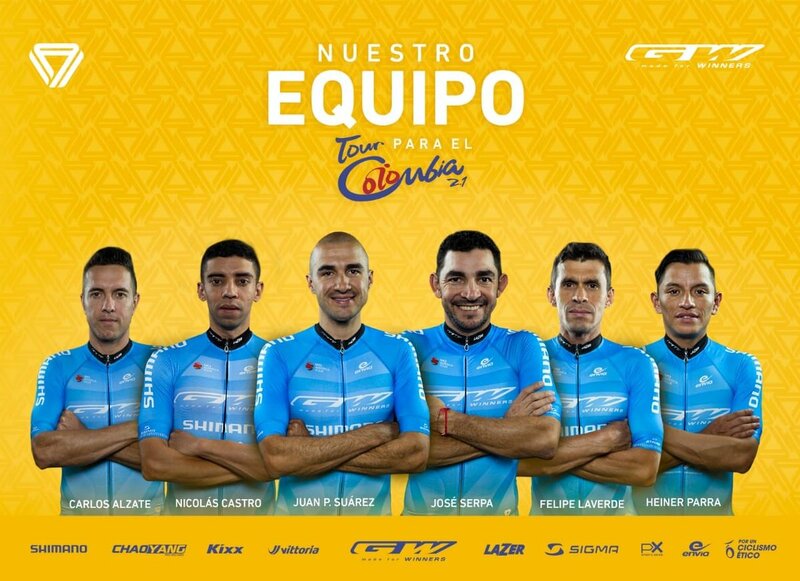 If Gaviria is ill then the chances of successful breaks over the next couple of days will be much higher. Well, the Colombian federation ... The less said, the better. There was a show yesterday, in both racing and TV terms. Carapaz, Uran and few others gave it a go on the final lap. The attacks never looked like succeeding, but it was good for the race after the bad PR of stage two.